Washington DC is a great place to get married – whether you’re from here or planning destination wedding. It’s a great family trip that’s easily accessible by an easy road or train trip for the East coast, plus we have 3 major airports that offer a host of discounted airfares. 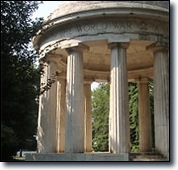 Washington also offers a variety of unique locations for a ceremony that you can’t get anywhere else. For example, did you know that you can get married at the Jefferson Memorial? (You’ll need a special permit from the National Park Service.) You may have a busload of tourists join you, but it’s an experience you can’t have anywhere else. There are also so many beautiful places in Washington to have pictures done – Lafayatte Park across from the White House, The World War I memorial, the Georgetown Waterfront, that will make your memories even more special. Some of the wedding trends we’re seeing at the Hamilon Crownde Plaza include gourmet food stations and smaller tables that encourage guests to move around and mingle rather than large tables and seated dinners. 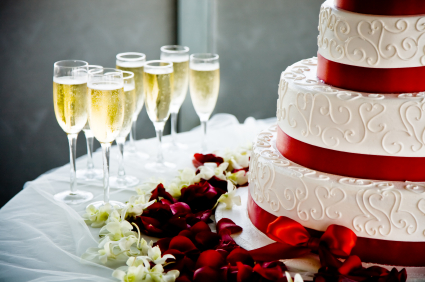 Many couples are also opting for a trio of cakes with a common theme rather than a traditional wedding cake. Others are hopping on the cupcake trend and selecting a cupcake tree with a variety of flavors. And each cupcake is so beautiful – it looks like it’s own like present. We’re seeing bolder colors everywhere – from bridesmaid dresses to table linens to wedding bouquets. Don’t be afraid to make a personal statement with color. If you’re looking to make the most of your budget, be flexible with the day of the week you want to hold your ceremony or reception. Thursday and Friday evenings are becoming more popular for weddings; but many of the florists, photographers, and other vendors may have more flexibility than on a summer Saturday afternoon or evening. Consider an all-in-one venue like a hotel that will allow you to maximize your budget and not spend all too much of your budget renting chairs and tables since they’ll have all that on-site. Many hotels have wedding coordinators on staff and can also make recommendations for DJs, bands, hair salons, photographers and everything else to make your day go smoothly. Learn more about wedding possibilities at the Hamilton Crowne Plaza in downtown Washington, DC.